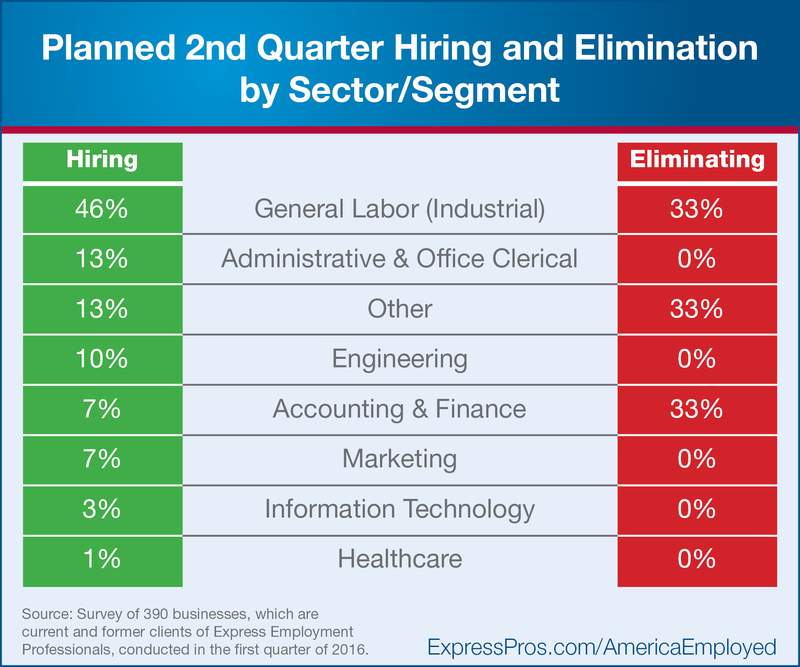 A recent survey of 390 former and current clients of Express Employment Professionals provides a glance into which sectors and departments anticipate hiring (and which don’t) in the second quarter of 2016. It was also revealed that accounting, human resources, legal, and risk departments have no plans to hire in the second quarter. Furthermore, respondents reported accounting as the only department in which there were plans to eliminate positions. As you go about your job search, keep these numbers in mind. Industrial jobs or those focused on production or sales may prove more fruitful for job seekers in the next few months. Were you surprised by these results? Do you focus your job search based on sector or department? Let us know in the comments section below.